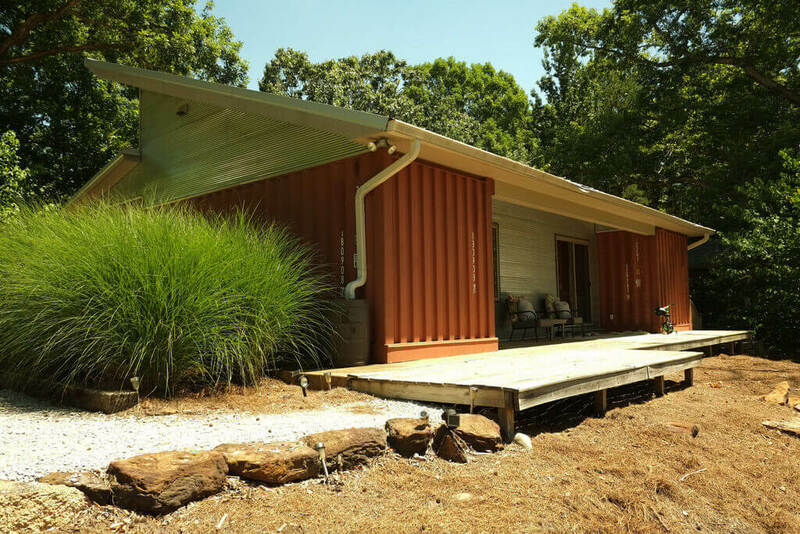 There’s a serious trend these days with people designing and building their own shipping container modular homes. You don’t have to to look very far to see these trendy house designs all over social media platforms like Pinterest and Facebook. Most people think the main appeal to building them is a the ease and speed of construction as well as the low building costs along with the fact they use sustainable materials, especially if you use second hand shipping containers for the main structure of the dwelling. But there are actually several other benefits that are commonly overlooked that will not only benefit the homeowner but the planet and your bank balance too. Most people who buy their first home start off small. They buy a place usually big enough for themselves, say you and a partner and then as the family starts to grow they need to sell and find a larger home. When your home is built out of containers adding new bedroom is easy. 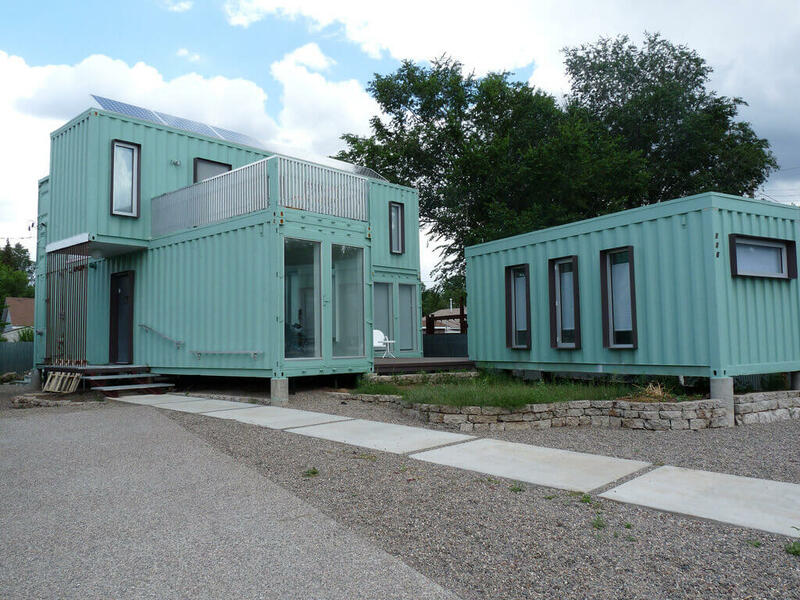 The containers are built with steel sides and roofs and the steel can be cut out of any of the four walls or ceilings. This mean you can have additional containers placed next to the existing containers and all you need to do is cut holes where you want entry to be and you’ve just extended your house. Extending your house is not only limited to the putting the container next to each other on the ground but you can also stack them on each other. So adding more stories to your home can happen quickly as well. It’s not uncommon for people to actually work on extending their homes themselves. This is because you don’t have to be skilled in many different trades you’re only going to be working with steel. 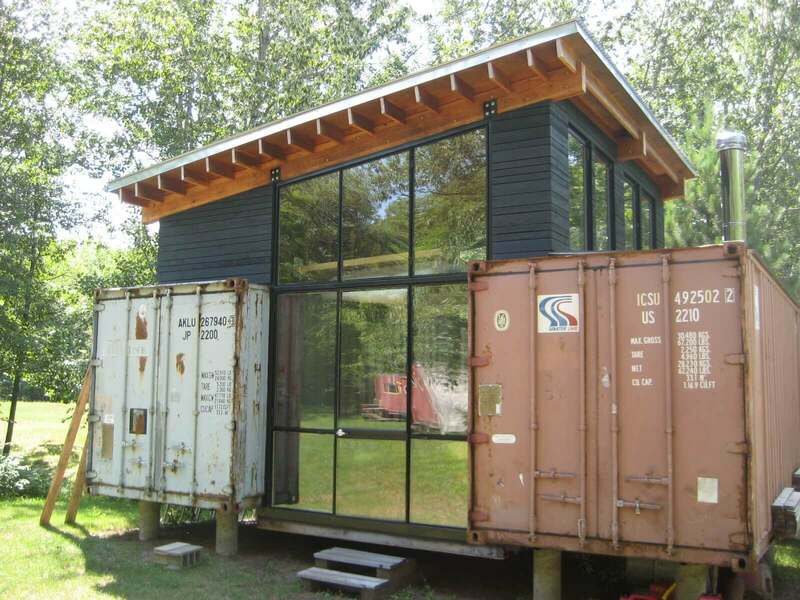 We do recommend that anyone who does attempt to work with steel shipping container homes is wearing the correct safety equipment including welding work boots, hot work gear and and eye protection. One of the main reason architects and homeowners are swinging more and more to the idea of building with containers is the fact that they can be arranged quickly in many different shapes. Shipping containers are like large lego blocks usually 40 ft long and have a square foot land coverage of 320 square feet per container. This mean that you can simply pick these up and arrange them which includes stacking them on top of each other too. 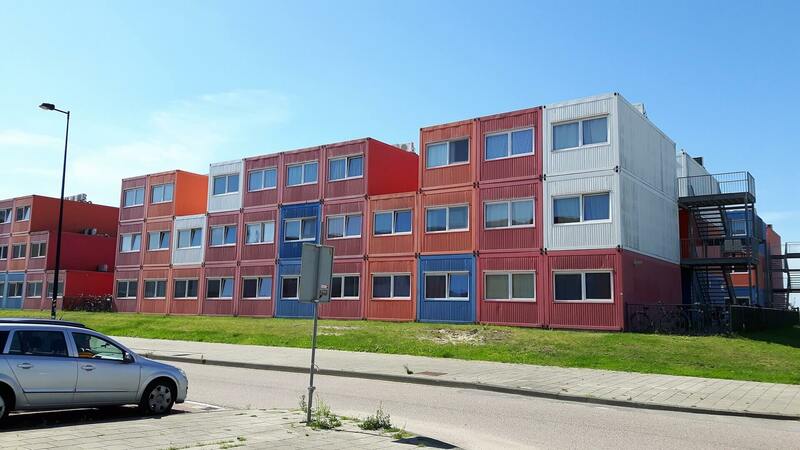 5-6 shipping containers equate to the size of an average dwelling. It’s common for houses made from containers to be substantially smaller in overall size but taller than most dwellings of the same internal square foot size. The reason that they can be built so much taller without going wider is because of the strength of the steel walls. This allows more imaginative designs in terms of height vs width and can give the occupant views from the second level even when building on a relatively small piece of flat land. Really let this idea sink in for a second. If you liked the design of your shipping container home but no longer liked the area you could simply have your house picked up and moved. That’s a huge advantage in terms of giving the homeowner ultimate freedom to live where they please. Another upside to being able to move the design is you can sell the house without selling the land. This can be beneficial for both the buyer and the seller. 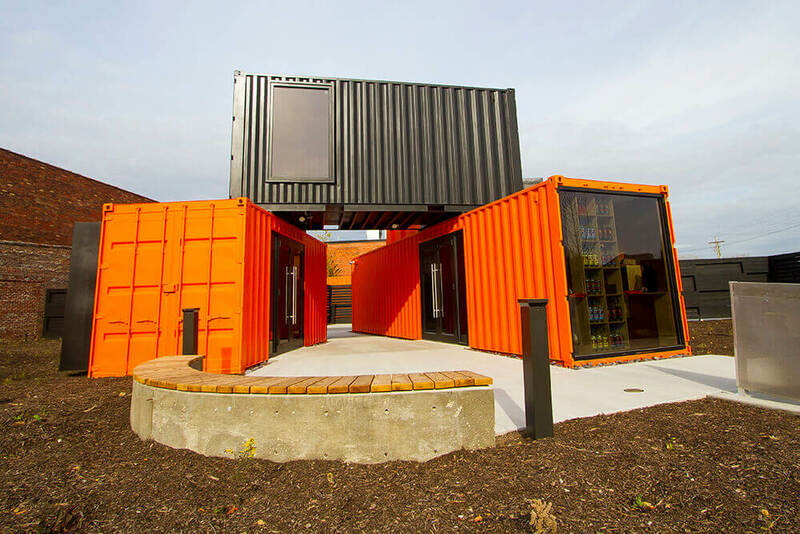 Picture the idea if you’ve been living in your container design for the last few years and you think you’d like to upgrade to different size containers or a whole new design all together. You could simply put your current design up for sale and once you have a buyer then have it moved to the new location and then start working on your new house design. Without a doubt working and living in shipping container homes is one of the most versatile and practical modern ways to design a home. The possibilities when it comes to design are endless and the benefits extend long after the building is complete. 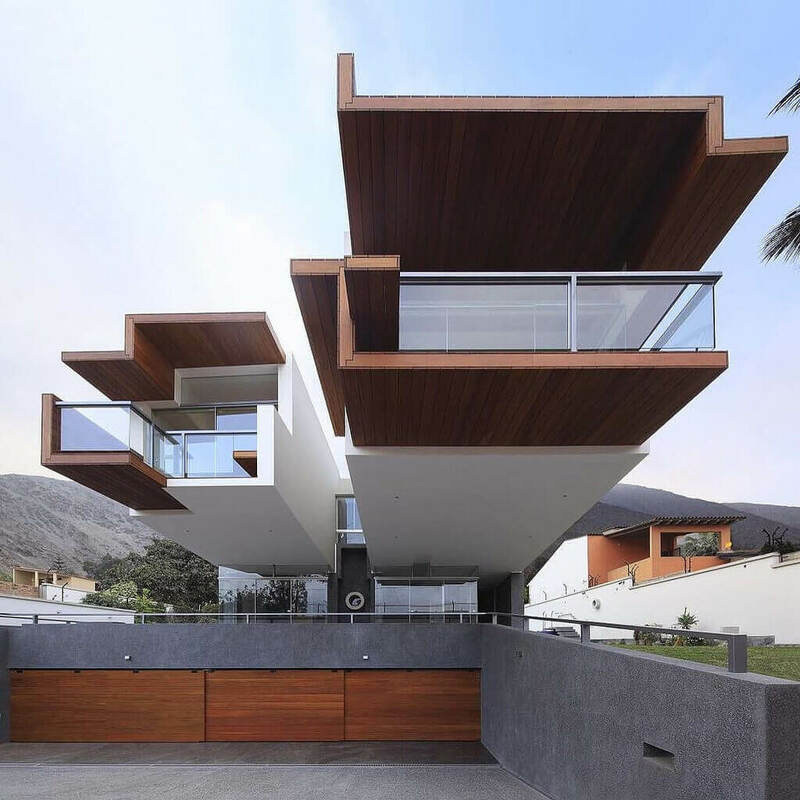 Fica muito lindo e prático, pena que aqui ainda não tenha profissionais capacitados para fazer projetos deste tipo, sou louca para ter uma casa assim.